The art of campaigning – don’t give up. 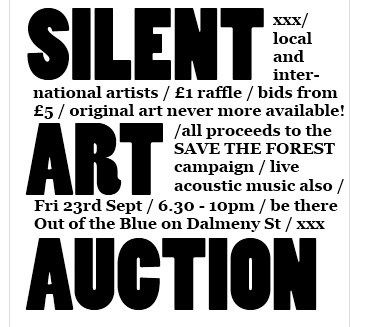 Save The Forest are nearly half-way towards raising the cash they need to buy back their iconic arts cafe. 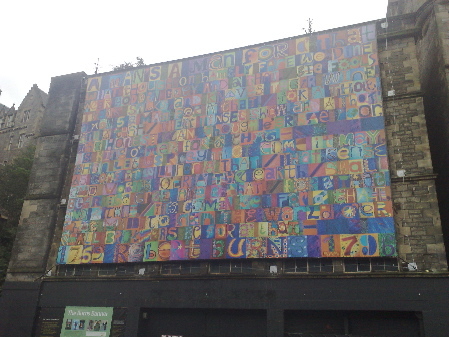 Their next big fundraiser is at Out of the Blue Drill Hall in Leith on Friday 23 September from 6.30pm when 30 local and international artists donate original works for a silent art auction to help bridge the gap.